Today the No on Prop 205 campaign launched a new web video highlighting the impact legalized recreational marijuana has had on schools in Colorado. This is not the path we want for Arizona. Youth use is up. Expulsions and suspensions are up. Kids are throwing away opportunities because they have greater availability. Legalizing marijuana will not save our failing schools. Even the Arizona Republic saw through the lie. Read their thoughts here. Watch our video and then forward it to five of your friends, neighbors, family members, or loved ones. The only thing pot legalization gives schools is more pot in the hallways. 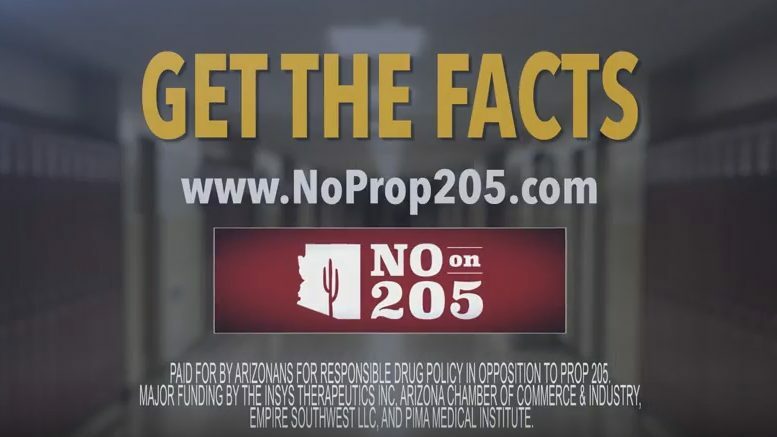 Visit NoProp205.com to learn more. Be the first to comment on "No On Prop 205: Don’t Believe The Lies"